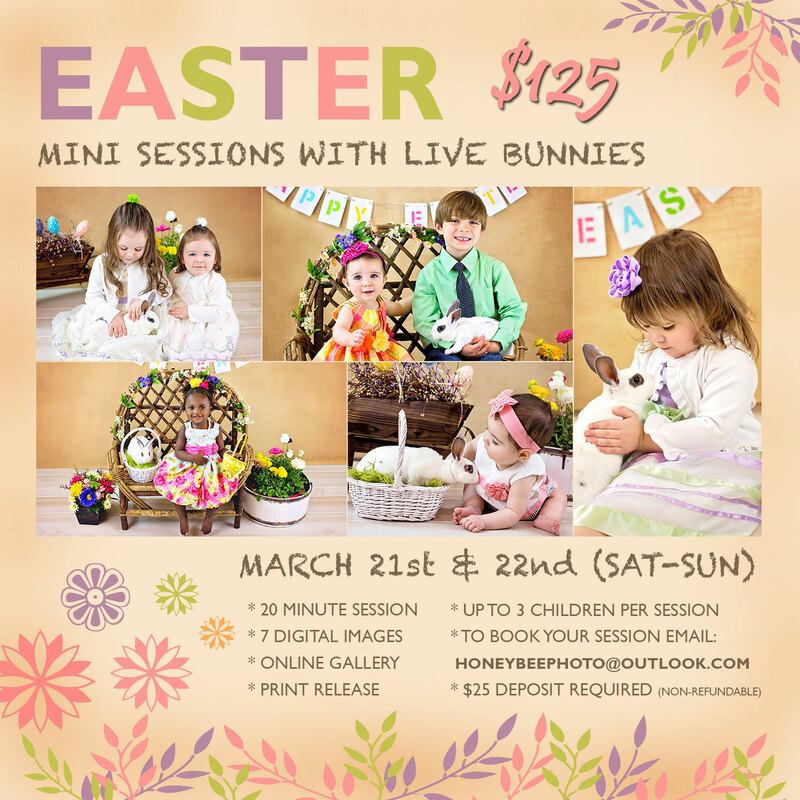 Easter Mini Sessions with live bunnies will be on Saturday, March 21st and Sunday, March 22nd! We will have 2 sweet baby bunnies in the studio and new Easter-themed flowers and props this year. Session times will be booked from 12pm-4pm on Saturday and 10am-2pm on Sunday based on availability. Please see flyer below for details. If you are interested in booking a session, please use the “Contact Me” tab above. Limited spots are available so please keep this in mind. © 2019 Richmond Virginia Family & Newborn photographer | Honeybee Photography|ProPhoto Site | Designed by That's Kinda Cool!